This elegantly shaped stemmed glass is generally used to serve red wine. The stem is used for holding not to affect the temperature of the drink. Contains 8 to 10 ounces. Two of the most emblematic drinks of the Italian North in a very simple but triumph of equality. Bitter and sweet. Red on red. With a little southern hint of citrus. Several variations of this very popular drink exist. This is my favorite. 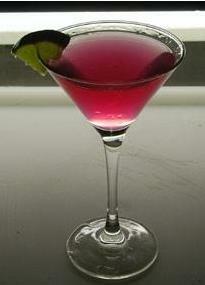 A glamourous drink that sure to 'tickle you pink'. Probably the best cocktail ever invented by Charles Schumann, of the Schumann's bar fame in Munich. A simple and delicious tropical cocktail drink. A fruity mocktail with a touch of innocence. A classical beer cocktail with a girly twist. Great for parties!